With much anticipation, we arrived on Sunday 26 to the city of San Borja. 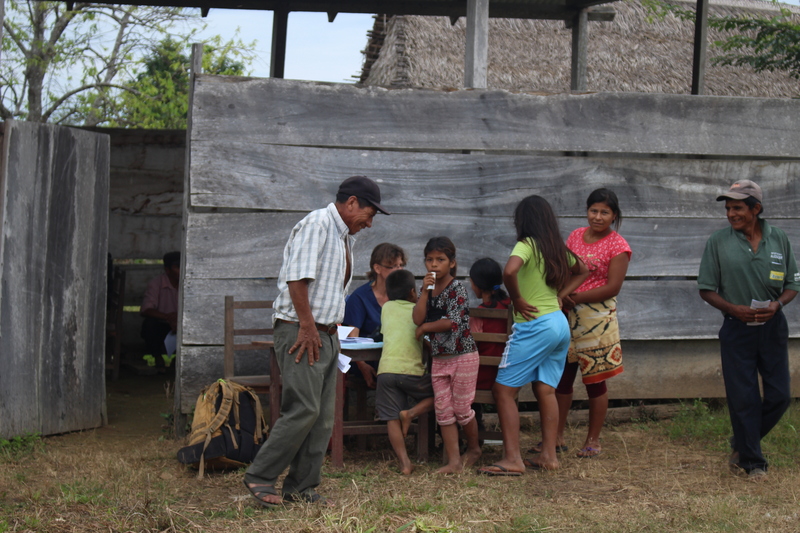 Which is located to the Northwest of the Bolivia, where the indigenous Chimani communities are located. They live at the banks of the Maniquí river and their diet consists of mainly fish, plantain and yucca. 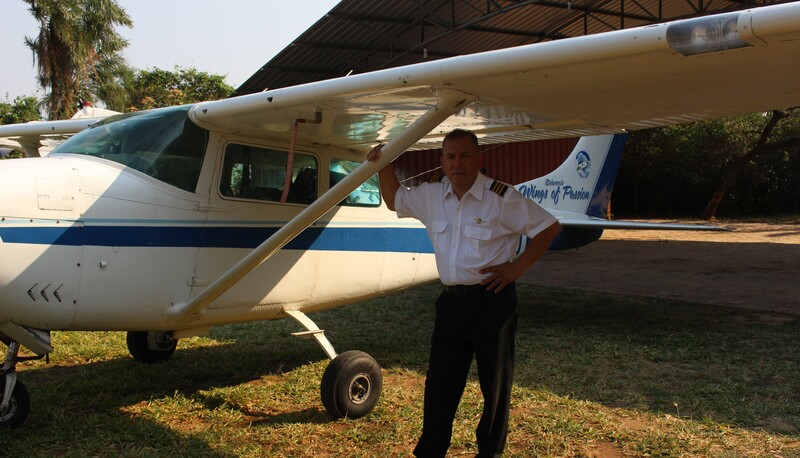 We had the blessing of flying from Santa Cruz with my husband, Miguel and Pastor David Gates. In a 19-hour bus trip we flew in 1 hour and 45 minutes on a sky covered with beautiful clouds. In San Borja we met Dr. Carmen Navarro, leader of the (Mi Salud) program; and Dr. Mrs. Flores, whose very kindly attended us throughout the trip. Dr. Navarro decided to change one of the communities, Tacuaral del Mato for Campo Bello, because in Campo Bello it had been a long time since they didn’t receive medical care.Sunday night we slept in a hostel run by nuns. It rained almost all night; knowing we had to go to the communities by dirt road, we left everything in God’s hands. 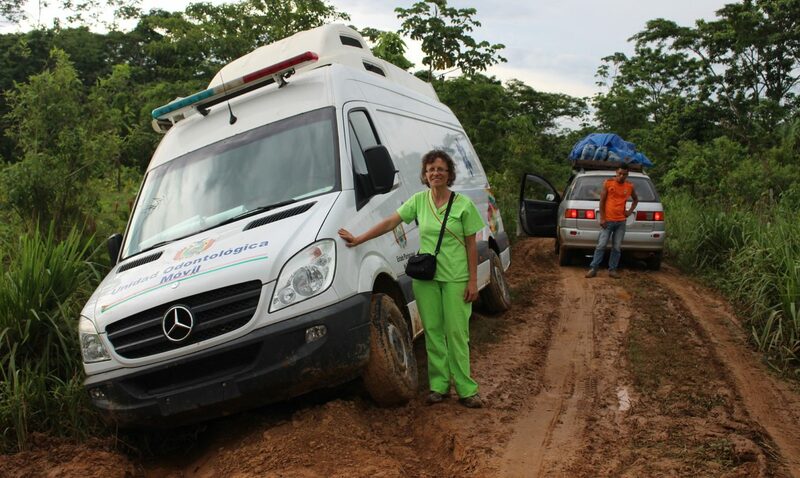 Dr. Navarro had offered us the mobile dental unit that belongs to the city of San Borja, which we gladly accepted.Around ten o’clock Monday morning we left for Campo Bello. We went out first and the mobile unit came half an hour later. The trip lasted an hour and right away we reached the community, it began to rain torrentially. The dental unit never came, we believed that it had returned, but in the evening, we learned that it had gotten stuck in mud midway. 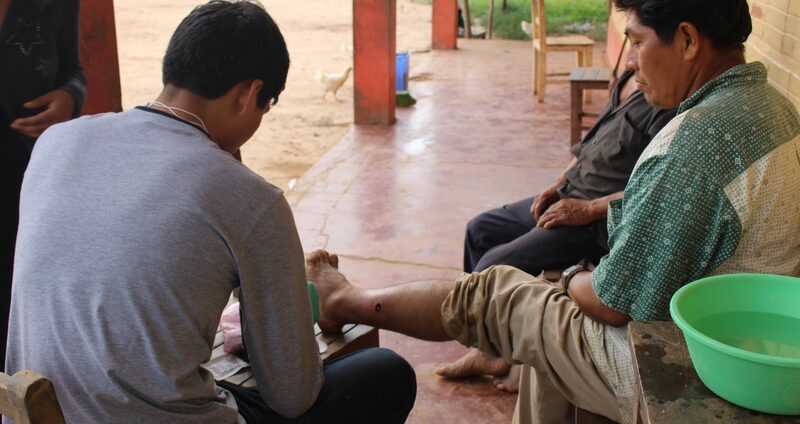 They took us directly to the school where we would do the medical care. There we introduced ourselves to the teachers, we explained about the medical work we were doing and the Christian literature that we had brought. This was the last day of school, we had the privilege of participating in an exhibition of crafts that children had made. After that, the school principal told us that this was a Baptist community, and that night they would have an all-night prayer meeting that would end at noon of the next day and also the surrounding communities would participate. He told us that they were very eager to have a Bible in Spanish because Chimani communities have a Bible in their language, but isn’t complete, only the New Testament is almost complete, but they don’t have the Old testament, and they desire is to be able to compare the two Bibles and see what is missing.It gave us joy to hear this, since we had brought 124 Bibles to leave on this trip! Gabriela was telling them stories of Jesus, teaching them songs, giving them drawings of the plan of salvation to the children to color. It was an incredible experience for her since it was the first time that her was leaving on a medical missionary trip.We slept that night in the community, and early in the morning (since we had been invited to attend the vigil), three of us carried the material also to the Church, there they handed out Bibles and Steps to Christ to families, the pastor had a special gift: The Great Controversy’s book. That blessing was dental work! 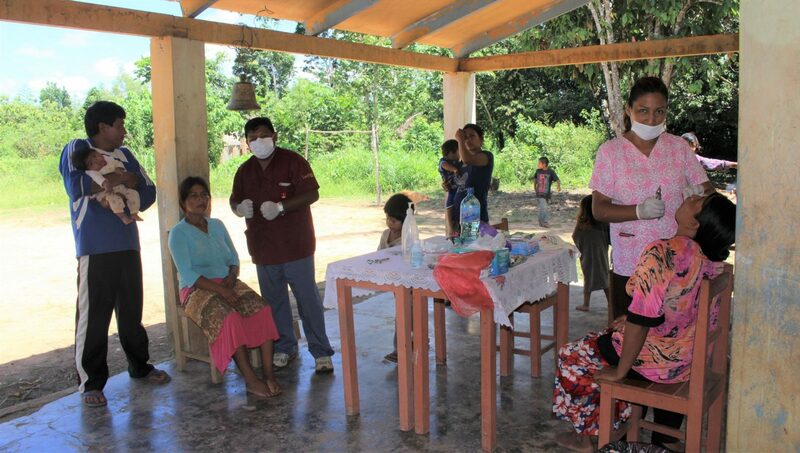 In the community of Campo Bello more than 70 extractions were performed. They had bad teeth that it was impossible to make a repair, the only solution was to extract the tooth. It is unfortunate but there is no dental care in these communities. Doctors gave toothbrushes to each patient, but we found a few thrown in the dustbin. 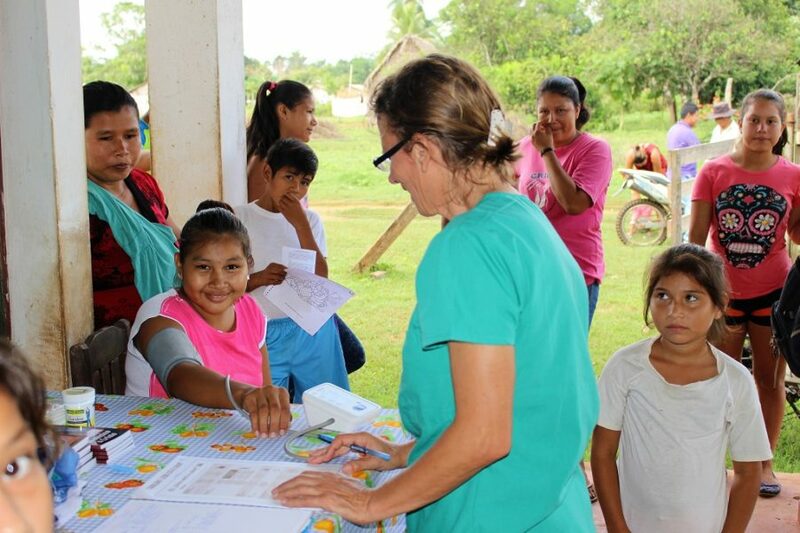 We were aware that they didn’t know how to use them, so the doctor began to give them oral hygiene class, making brushing herself in their mouths and telling them that they do the same in their homes. 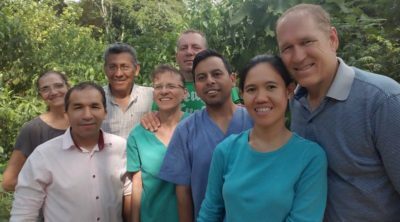 The medical missionaries, Ruth and Sinai worked giving basics in medication and focusing on the prevention of diseases, nutrition and 8 natural remedies. 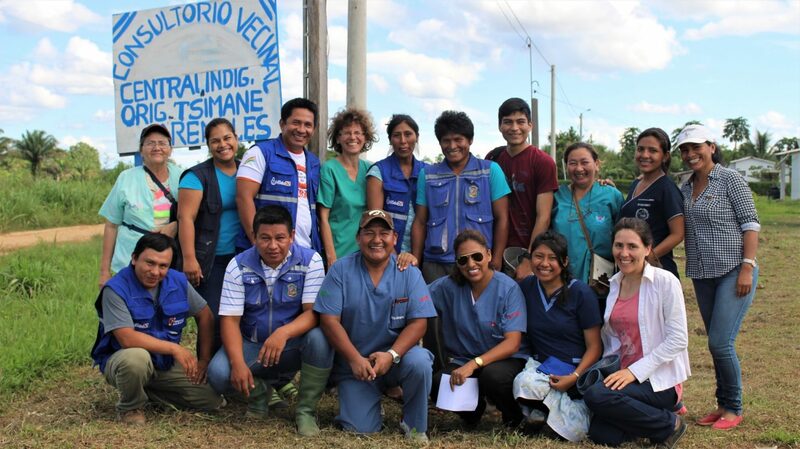 They worked with the physicians of San Borja in the communities of Campo Bello and Arenales. 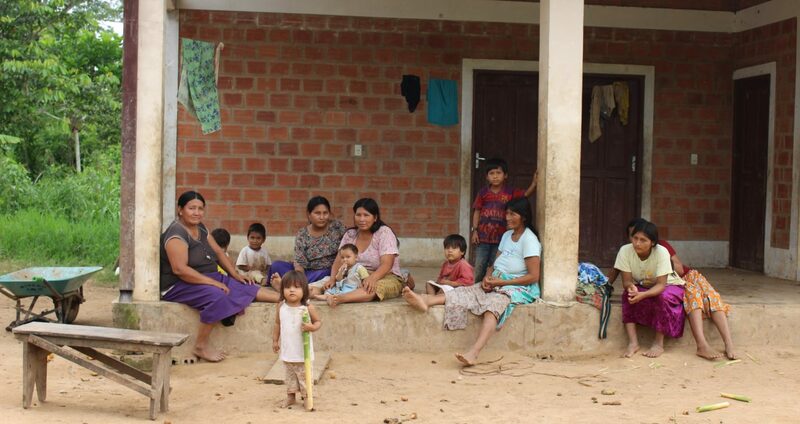 The system of free care from the Government of Bolivia attends from newly born up to 5 years, pregnant women and people over 60 years. But there is a gap in the age of 5 up to 60 don’t have free care, need to pay. Here is our work, provide free care and give medication free of charge to these poor people who can’t go regularly to do a medical check-up. This man while he was being attended with Ruth, told her that he wanted a Bible in Spanish because he wanted to compare it with his Bible Chimani, told her that he was looking for the truth; already we didn’t have any more Bibles, there was only one that I wanted to give to the Mayor of the community. He insisted so much that finally we gave him it, leaving everything in God’s hands. One hour later came the Mayor, Mr. Daniel Cayuba, we present ourselves and first thing he asked was if we had a Bible for him, because he had heard that we deliver Bibles. Oh, we had no more and his response was “Why did you gave Bibles to everyone except me.” A great pain was in our heart.Later someone from the team said “There is a doctor who is an Adventist, has put the t-shirt of the Church!” Oh, we commented “we can ask him if he could give a Bible to the Mayor”. 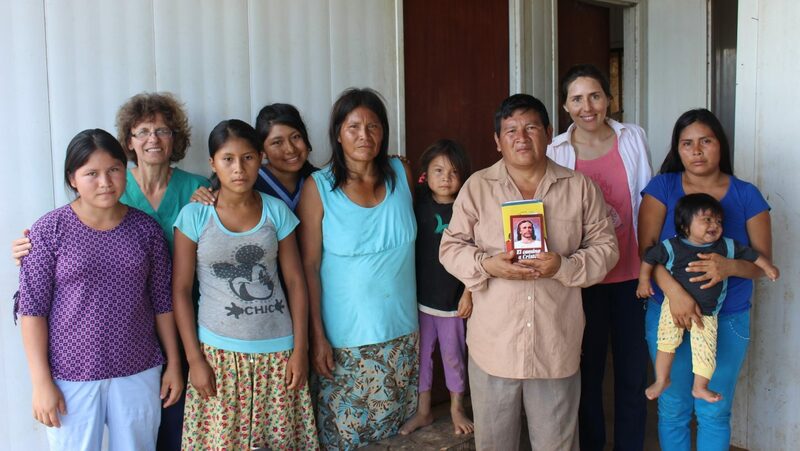 After that they pointed out me who was, I went and I told him what was happening to us with the Mayor of the community and the Dr. Romulo said “I still have the books in my backpack, I will give you now!” That joy, thank God, we could deliver this longed-for Bible! We are working in the communities with a NGO (non-governmental organization) humanitarian aid belonging to GMI (Gospel Ministries International): ASDEIH (Association of Development Integral humanitarian). In total we worked 3 days and half, was given free medication, completely free medical and dental care in 3 communities: Campo Bello with a population of 50 families, Arenales with 40 families and San Ramon with 34 families. We deliver all the Christian material that had brought, 124 Bibles, 124 books “Steps to Christ”, 6 books “Great Controversy” and 5 books “What happens after death”. 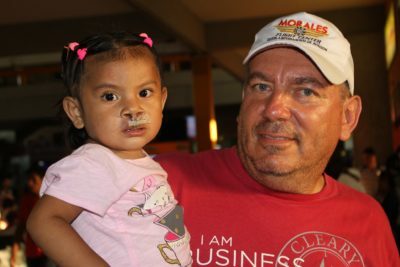 They were treated more than 200 patients in dentistry and more than 170 were extractions, and be able to work with more than 260 children. 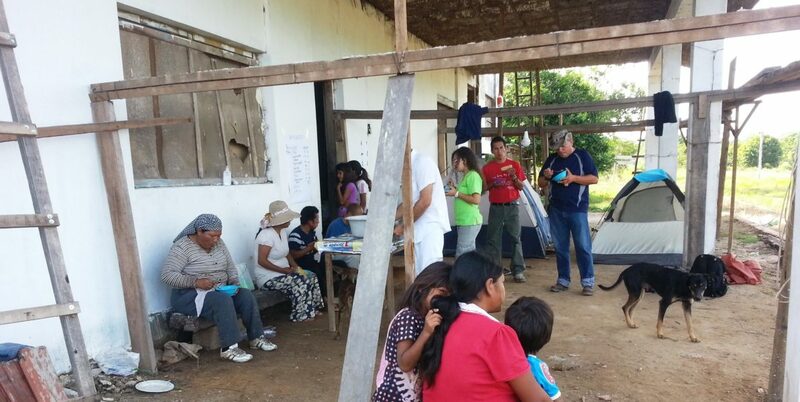 Were treated 110 patients in the medical area and natural treatments with activated more than 30 patients for diarrhea. Many patients were found with headache and backache, a possible cause is excess weight are hanging on their heads. Two cases of tumors were diagnosed by physical abuse, one of them reported it to Mi Salud. 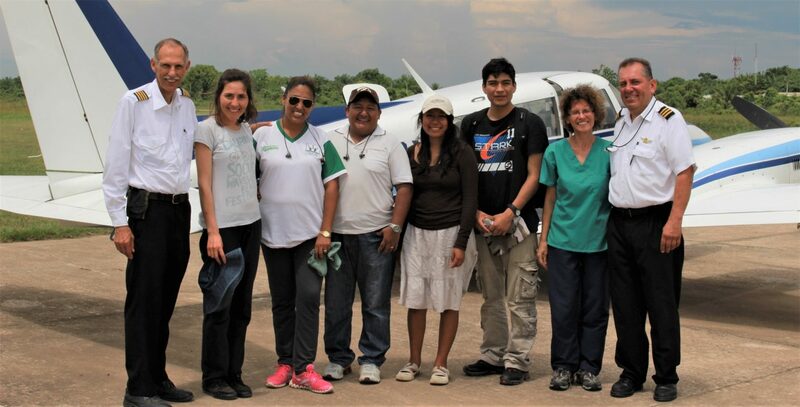 I appreciate everyone who participated in this project, the group that came from Santa Cruz and the medical Team from San Borja “Mi Salud”, for their support throughout the trip. It was a beautiful team! Everything was achieved only thanks to God that was moving people and accommodating times. 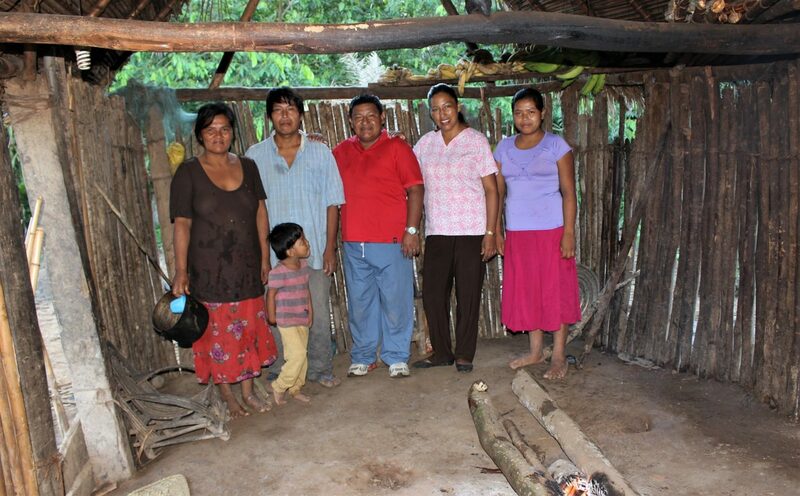 Each community we visited was a God’s miracle. To him be all the glory! 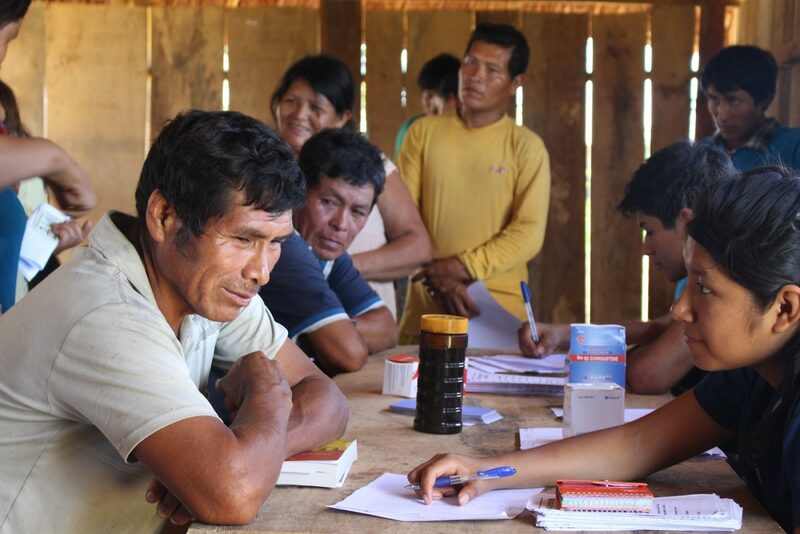 Before leaving Arenales, we had the opportunity to speak with the doctor Rómulo Urquiza, our brother, who is in charge of community of Arenales and also other 21 communities Chimani deeper over the Maniqui River. He Invited us to work together next year along the Maniqui River, and visiting each of those communities that are completely isolated. Cosincho, is the most distant community and remains at 8 and a half hours by boat on the river, is my great desire to bring the Gospel through medical aid. We are very grateful to all our friends and family who supported us with their prayers. We are immensely grateful to those who helped us financially with the trip, the plane, food, medicine, Bibles and Christian books. Thank you very much!We wish each of you a very blessed end of year, 2017. God never forsook us, do not forsake us and He will never forsake us!